Delicious Citrus Chicken & Cauliflower Rice, 16 Challenges & 330 Workouts! New Recipe Alert! This meal is under 400 calories! One easy way to lower the calories in your evening meal is to substitute your rice with cauliflower rice. On average one cup of rice is 210 calories compared to one cup of cauliflower rice which can be between 20-30 calories. 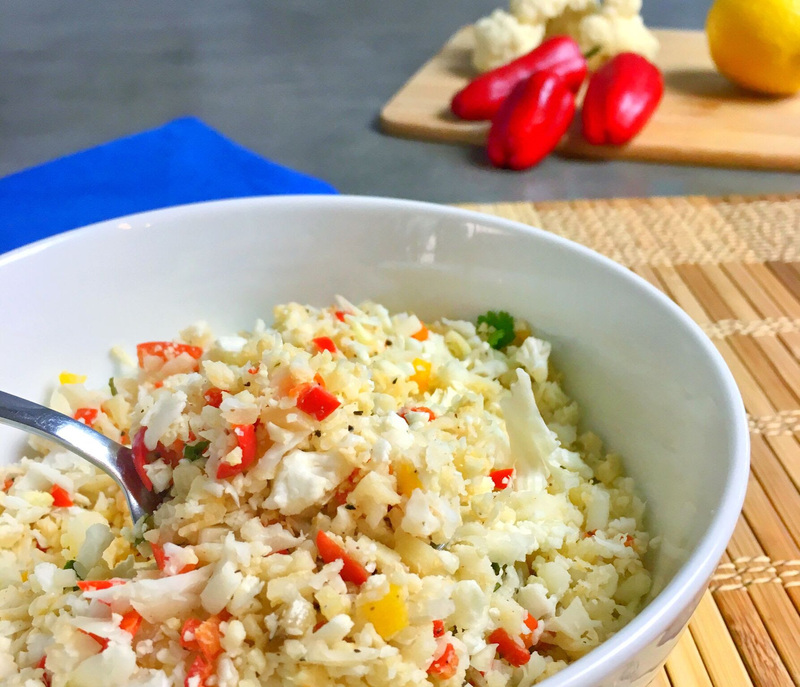 Cauliflower rice is light and fluffy providing a similar texture to rice, it has a beautifully mild nutty flavor, is low-calorie and very low in carbohydrates. Not to mention, the wonderful nutritional benefits Cauliflower beholds such as Vitamin C, K & B-6 plus it’s a good source of Omega-3 fatty acids and dietary fiber. 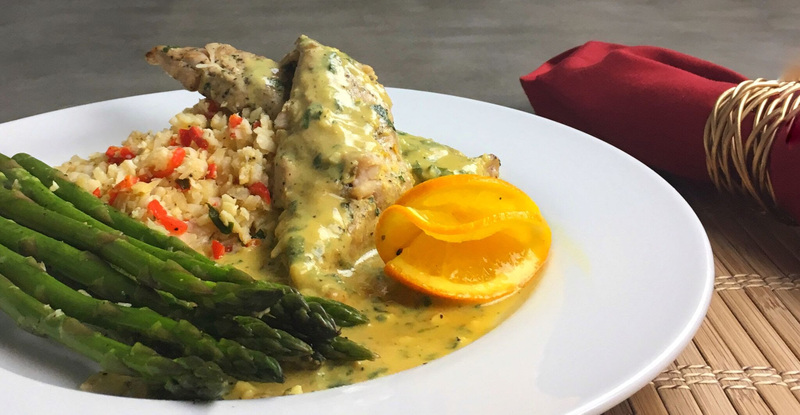 This delicious Grilled citrus chicken basted with olive oil and citrus juices then topped with a scrumptious cilantro-mustard vinaigrette sauce, paired with grilled crunchy asparagus and cauliflower rice the combination of flavors will make your mouth water for more. Get the full recipe at The Hollywood Trainer Club as well as over 150 more healthy delicious recipes and weekly meal plans. Log into the club www.TheHollywoodTrainerClub.com click Meals, then Recipes A-Z , then type in Grilled Citrus Chicken & Asparagus with Cauliflower Rice. If it doesn’t challenge you, it won’t change you! 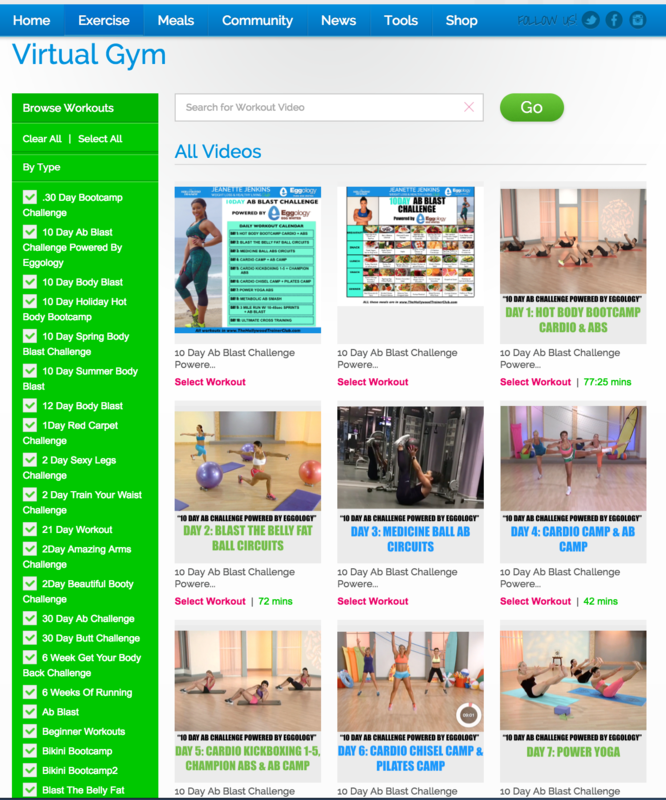 We have 16 CHALLENGES and 330 WORKOUTS for you in the Virtual Gym of The Hollywood Trainer Club so you can start a new challenge today or this weekend. You can do all of the workouts on your phone or computer so no excuses! Grab a friend, pick a challenge and get to work! The sooner you get started the sooner you will achieve your goals! Log into The Hollywood Trainer Club click Exercise and then Virtual Gym and choose the challenge that works best for you. You can do it! Start Today! Start Tomorrow! Just make sure you start!